“I can’t say enough about Dr. Alejandro and his staff. I was made to feel comfortable every step of the way. 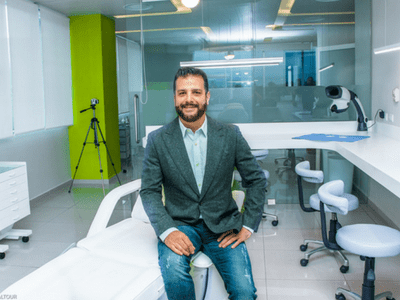 I am extremely pleased with the overall experience that I received.” — Kathy P.
World-class plastic surgeon, Dr. Alejandro Enriquez de Rivera Campero, has been performing cosmetic surgery in Mexico for over 10 years. 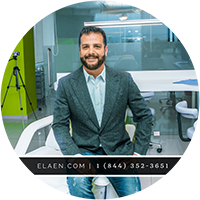 The goal at the eláen Plastic Surgery and Hair Transplant Center is to make sure that all of your questions are answered and that you feel completely at ease with the process of having plastic surgery in Mexico. Our center offers advanced technology combined with a caring and quality staff. Whether you are looking to have Breast Implants Mexico, Facelift Mexico or Body Contouring at our leading plastic surgery center, eláen team will treat you with respect and compassion. What is Back Lift Surgery? Eláen patients often come to us for back lift surgery because fitness and weight loss efforts cannot help with excessive laxity of the skin on your upper back, middle back, and underarm area. Back lift surgery at eláen is a surgical procedure that aims at removing excess skin folds over and under the bra line. Ideal candidates for back lift surgery are those with sagging skin caused by aging, sun exposure or massive weight loss such as that which occurs after bariatric surgery. You recently experienced excessive weight loss or had bariatric surgery. You have excess, sagging skin after your pregnancy. You have loose skin around your arms, chest or waist. You have rolls of fat around the edges of your lower back.